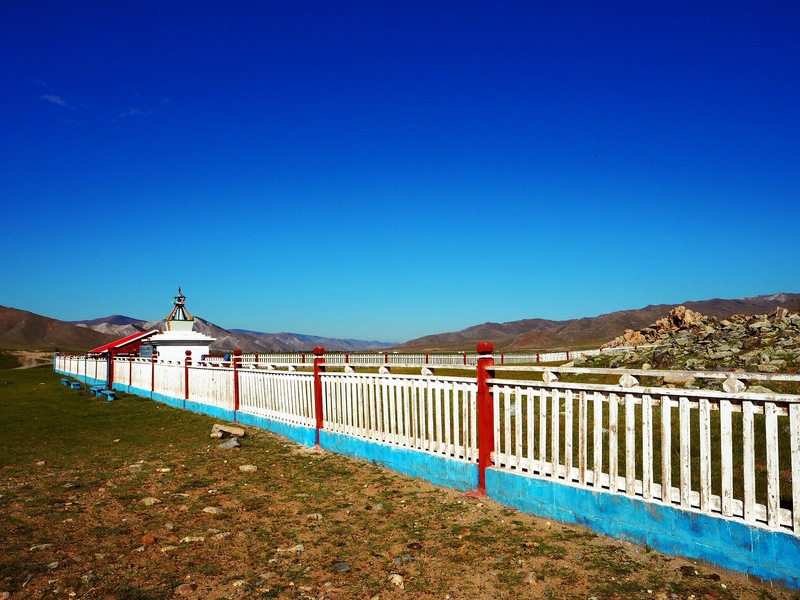 Mongolia: Mörön to Ölgii – Sometimes the wrong train will get you to the right place. On some level we knew that the trip wouldn’t be straightforward, but we weren’t entirely prepared for what was in store for us either. Bata gave us reassuring words like “there’s no direct bus, but don’t worry, there’s another way, we can talk later.” If it wasn’t for our consistent nagging we’d probably still be in Mörön as Bata was never around to field any of our questions. Over a choppy cell connection he gave vague directions like “go to Jargal, then to Tosontsengel, then from there it’s easy.” We hadn’t the slightest idea how to get to Jargal, but we were assured that shared vans would be easily gotten from the market, but that we should leave as soon as possible to make sure we get a seat. As it turns out, the shared van lot is several hundred meters east of the market one block south (right around 49.643 N, 100.172 E). We were led step by step by handing the phone to random passersby with Bata on the other end explaining where we needed to go. Once at the lot, there were a handful of vans heading to Jargal (also known as Jargalant, apparently) or Ikh-Uul or a handful of other places. Ikh-Uul, according to Bata was on our list of places to go through to eventually get to Ölgii, but it turns out that the vans going to Ikh-Uul were going to a different Ikh-Uul… Looking at a map of Mongolia yields about 25 distinct place names, the rest being repetitions in other parts of the country. 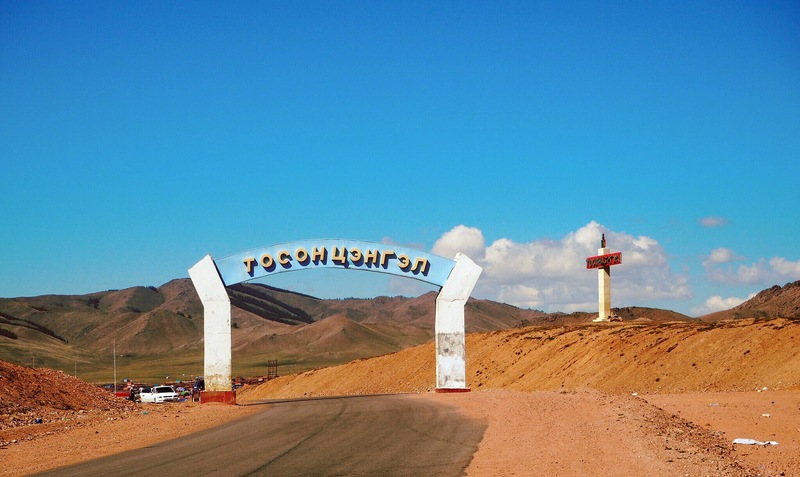 Khovd? No problem, there are at least three of them. Same with Ölgii, same with Jargalant, etc, etc. So, Jargalant (a very specific Jargalant, mind you) was our only destination from Mörön. The van was slated to leave at 4pm, so as trusting westerners we came back with our bags at about 3:50. Of course, we didn’t actually leave until 6pm when we went bumping our way out of town, stopping at a half dozen shops or houses along the way to pick up supplies. By the time we were on the road in earnest, there were 17 of us packed into a van made for 10 with every possible space filled with a box of car parts or a bag of potatoes or a random suitcase or a motorcycle tire. Being tossed against the walls of the van we headed towards Jargal, some 150km to the south. 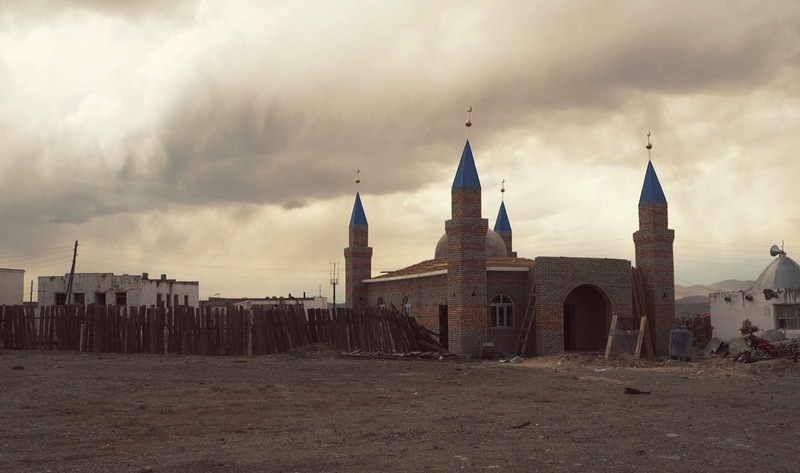 A monastery between Jargal and Ikh-Uul. We came upon a jackknifed trailer in the middle of the mountain road blocking our access. There were a dozen or so other cars on both sides, waiting for something to happen. Our driver instructed everyone to get out and walk past while he maneuvered the beast of a van off the road and around the trailer. Once he was back on the road he continued driving until he was out of sight. We concluded, based on the lack of outrage from the other passengers on foot, that he would stop for us at some point, presumably once to a flat part of the road. The driver did indeed stop at the top of the pass, at a collection of shacks selling various food items like khuushuur and tsuivan. All the while, the lingering food poisoning symptoms were cropping up from time to time, and Oona was suffering from debilitating stomach cramps during most of the trip. The tossing and turning van on the badly rutted road was not helping things. We finally arrived in Jargal at about midnight, and with the help of another passenger who spoke a bit of English, we instructed the driver to drop us off near the river. Armed with our headlamps, we were at least able to discern land from water and pitched the tent in a suitable spot. Our weakened immune systems got the best of us, we were utterly exhausted and immediately went to bed. Old and new in Jargal. We awoke to find ourselves right on the edge of town, with plenty of passersby gawking at the sight of foreigners in their tiny crossroads. We packed up the tent and headed into town to try to arrange transport to our next stop, which we were told was Ikh-Uul (but not the Ikh-Uul directly-accessible from Mörön). Every shared van in the square was signed to Mörön, so it was a bit of a dead end for us. 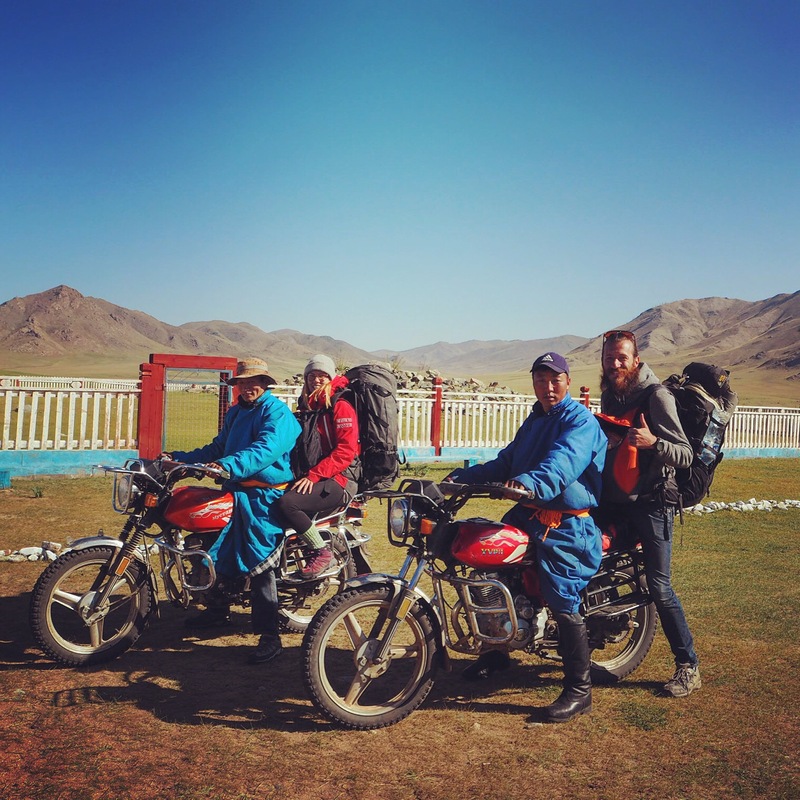 We eventually arranged motorbike transport by haggling with a few drivers, and minutes later we were flying across the expanse at top speed, us and our bags nearly catapulting off the backs at every bump. There were several harrowing river crossings which threatened to wash us and our bikes away. 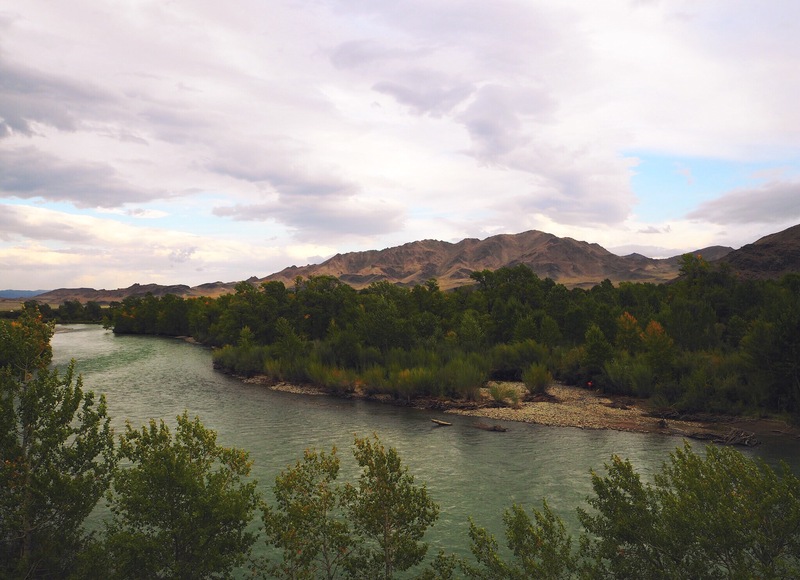 Our drivers would plunge in, the motorbikes coughing and sputtering and struggling for traction along the slick riverbed while the water rushed around our feet. It turns out the drivers were pretty good at what they do, and so wet feet was as bad as it got. On the edge of Ikh-Uul. After about 1.5 hours we made it to Ikh-Uul, from which we were assured an easy transfer to Tosontsengel by Bata. But again, shared transport was nowhere to be found. We were approached by a wiry, eccentric old man in an ill-fitting and threadbare suit while standing around the dusty main square looking like we needed help. Miraculously his English was fairly good (it turns out he was the English teacher in town), but he was more interested in talking about international events and where we were from rather than helping us get to Tosontsengel. Nevertheless, he eventually called over two more motorbikes for transport to Tosontsengel and wished us well. This round of drivers was decidedly less daring, and Oona’s driver creepily insisted on her holding him tightly while he caressed her hands (to keep them warm, she was assured). Time after time I would lose sight of her and her driver, and upon reaching Tosontsengel my driver and I waited for 10 minutes before they finally came puttering up. We were dropped off in the center of town and wandered around looking for transport options to the west. We had a lunch of khuushuur and fried eggs at a rundown cafeteria where we were the prime attraction, it seems, with the other customers gawking at giggling at our every move. After lunch, we eventually settled on a gas station on the west end of town and asked anybody coming through if they were going to Ölgii. They mostly just laughed, but a few people tried to help out (by offering to drive us all the way for $300, for example). The sight of some foreigners eventually attracted more people and we were sitting in the middle of 10 or so Mongols all shouting about driving us there for some absurd amount of money. They didn’t seem to understand that we wanted to get there cheaply, preferably in a car shared with others. What we did eventually learn though, was that Ulaangom would be the place to try to get to, since transport to Ölgii was surely easy to find from there. We eventually walked across town with our cardboard sign to try another road out when a beat up farming truck stopped across the street and out hopped a very white-looking guy, chattering away in Mongolian with his passenger. It turns out he was Tom, from Illinois, a missionary who had lived in Mongolia for 24 years. He drove us over to a roadhouse on the east edge of town (right around 48.766 N, 98.283 E), apparently the place where all the buses stop for a meal, he said we could probably figure something out from there. All the long distance buses had left for the day, but apparently the one to Ulaangom would be rolling through “around 6 or 7” the following morning, so we spent $10 on a very modest room for the night above the roadhouse. Tosontsengel “skyline”, the roadhouse is center frame on the nearest street. By the time 6am rolled around we jumped out of bed and were ready to go. Any time an engine was heard we’d run to the window only to see a beat up tractor or van driving by. Eventually, around 8:30, our bus did arrive. We were warned that all westbound buses would probably be full, and indeed it was full, but Oona managed to convince the driver to let us on provided we sit in the aisle with our bags. The driver surely pocketed the money, but at least we were on a bus out of that godforsaken (no offense, Tom) town. So out we went at around 10am, bumping and jerking along the dirt road. Sitting in the aisle proved to be very uncomfortable, and a few of our neighbors were outwardly displeased by our presence, but we were happy to be on our way. After a few hours, two seats freed up by a family getting off in the middle of nowhere (presumably their yurt was off in the distance somewhere) and so we were relieved to take them and relax a bit. Not once during the 14 hour trip did we stop for food, but we did make about 20 bathroom breaks in the middle of nowhere. Thankfully we eventually we made it to a paved portion of road, so the final 150km went much faster. Bathroom break on the way to Ulaangom. For some reason, Oona’s bag was a topic of much amusement for all the other passengers. Mine had been put in the holds at some point when a bit of space cleared up, but Oona’s remained in the aisle, and every time we touched it to move it or flip it on its side to let somebody by another passenger would invariably yell out some joke about it and the whole bus would erupt in laughter. 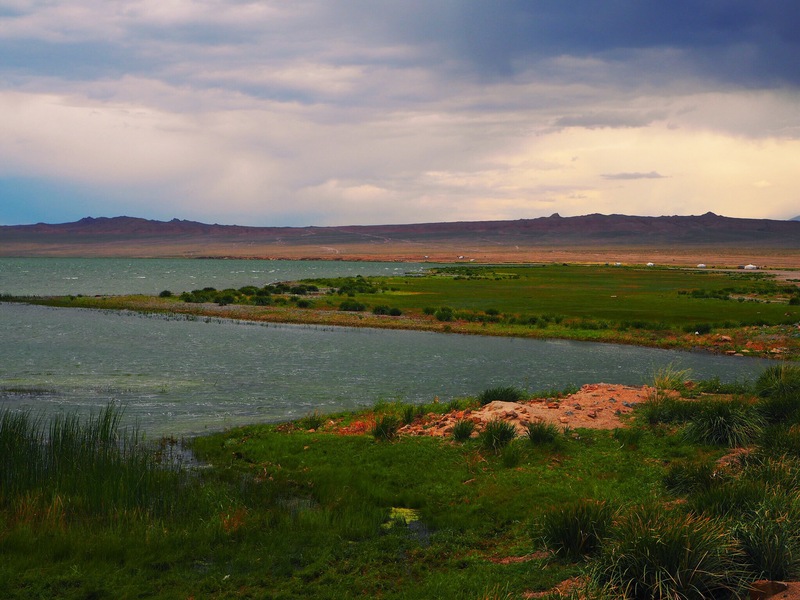 The shores of Khyargas Lake on the way to Ulaangom. We arrived at Ulaangom at around midnight and wandered down the main street toward where we thought a hotel would be to find the Chinggis Hotel, lit up and inviting. We got a room for $20 and some much-needed sustenance in the form of instant noodles. We showered for the first time in about a week, ate, and went straight to bed. Before going to bed, we verified with the woman at the front that some form of transport could take us to Ölgii at noon the following day. 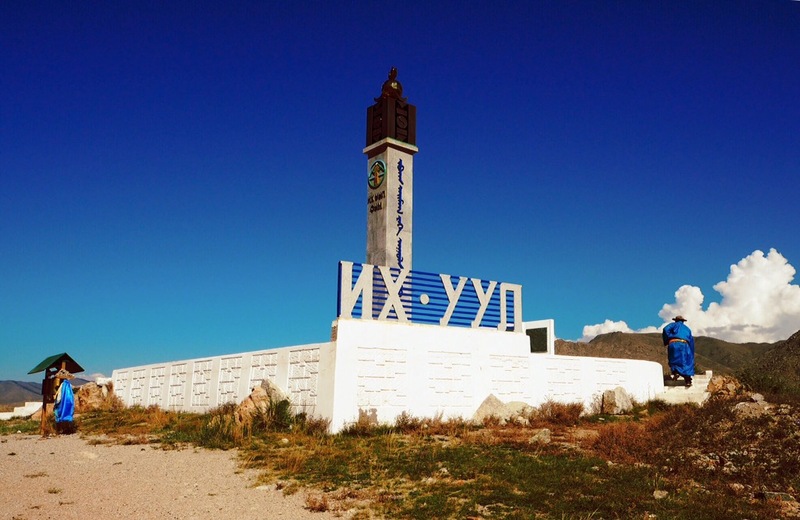 In the morning, the woman from the night before reneged and now insisted that our only option was to first go through Khovd, and that again, we’d surely be able to find a way from there. 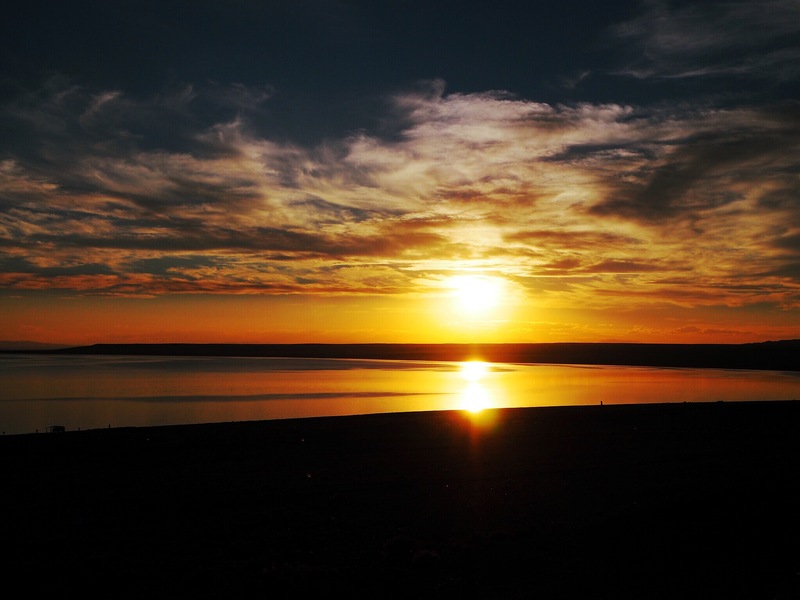 The shared vans to Khovd, lasting 8 hours (in the wrong direction, to boot) would leave at 4pm, so it would be another day and night in another unknown backwater before Ölgii. Depressed at this thought, we weighed our options on getting straight to Ölgii, which consisted of a private car or hitchhiking, the latter of which would have taken at least two days. We ended up spending $170 on a private car straight to Ölgii. The car was driven by a chain smoking guy in his late 20s and another guy who we guess was just along for the ride, or maybe he was a guide of sorts. The trip was beautiful, and it wound over towering mountain passes and verdant river valleys. The car, a little Toyota hatchback, was ill-suited for the trip and so was the driver, for that matter. He would either be rocketing along the valley floors at totally unsafe speeds or getting stuck in the mud over the mountain passes. He even had the nerve to try to charge us more once we got to Ölgii “because the road was in bad condition”, as if that is somehow our fault. The beginning of muslim country in Khotgor on the way to Ölgii. 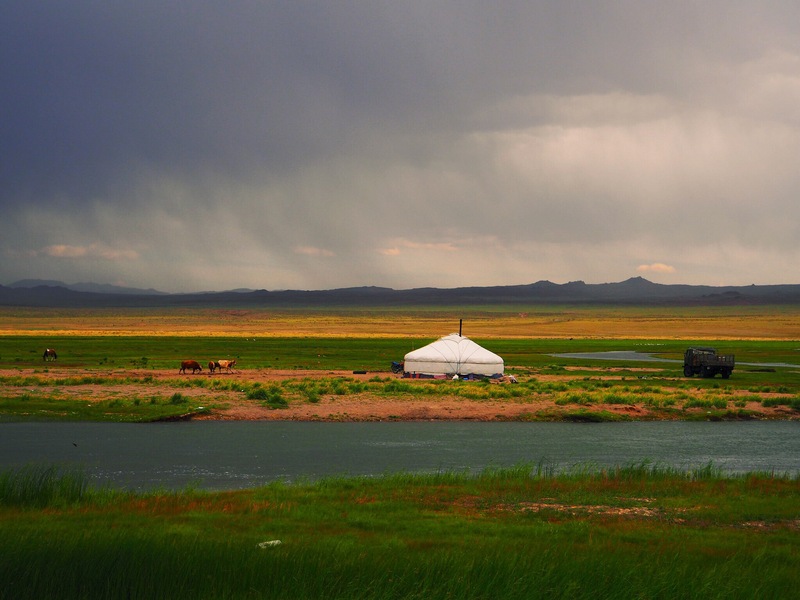 A yurt on the shores of Achit Lake. 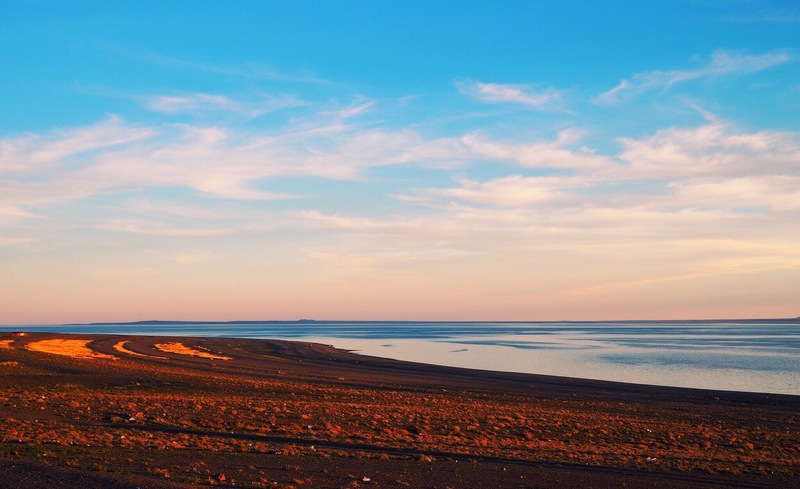 At any rate, we’ve finally made it to Ölgii, and learned a few lessons along the way. First, it’s incredibly easy to get from anywhere to Ulaanbaatar, but exceedingly difficult to travel between two places that aren’t. Likewise, everybody will try to get you out of their hair by ensuring that you’ll have no problem securing a ride from the next town, but never from the town you’re in. 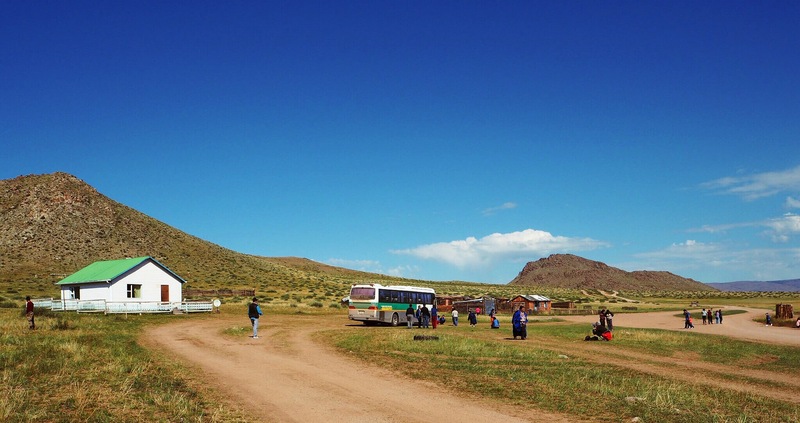 Also, Ölgii is basically only accessible by shared vans or buses from the direction of Khovd, any other neighboring towns will require some sort of private trip. Finally, many locals don’t even know what the transport options are from their village, so take any advice with a grain of salt. Khovd River just outside Ölgii. For now we’re relaxing a bit and hoping that some other independent travelers show up to share the cost of a trip to the national park. 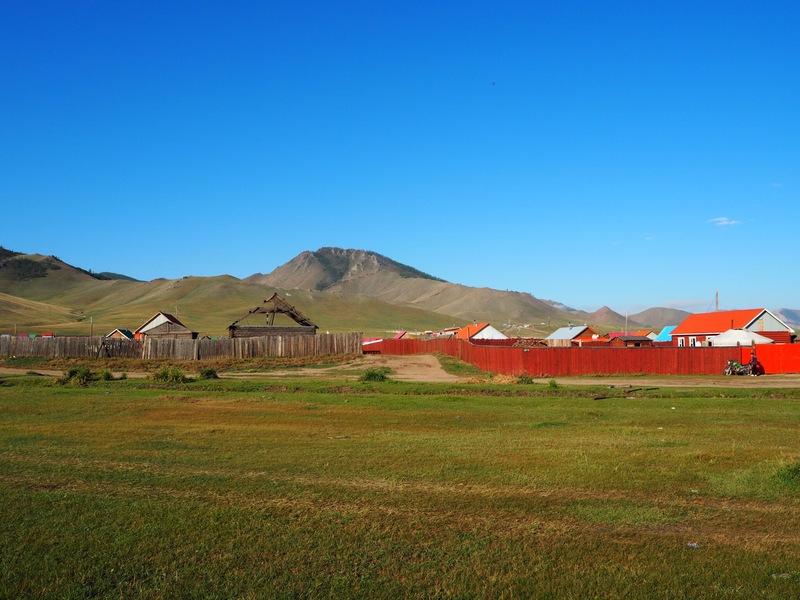 This is also the home base for eagle hunting in Mongolia, so we’re trying to set up a visit to an eagle hunting family. The population of the western extent of Mongolia is mostly Kazakh, and Ölgii is the center of it. As such, most people use Kazakh as their daily language here, and many don’t even speak Mongolian. Kazakh is a Turkic language related to Turkish and Kyrgyz, but unrelated to Mongolian. 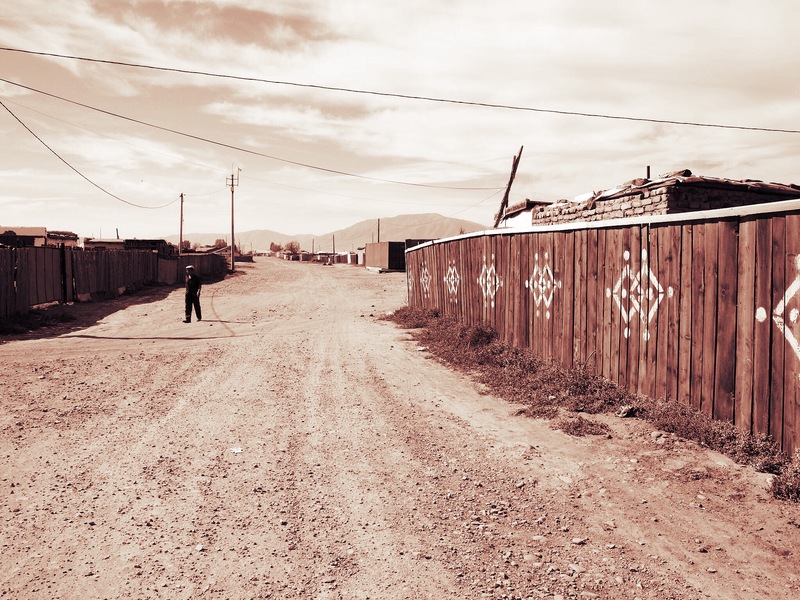 Most signs in Ölgii are in Mongolian, but daily communication occurs in Kazakh.